I made a dairy free, vegan, gluten-free eggnog smoothie! Oh my gosh, it is creamy and so darn good. I am shocked on how much I like it! It doesn’t has that weird, almost alcohol taste that most eggnog have. I don’t know what that taste is, but I don’t like it. But my smoothie doesn’t have it! 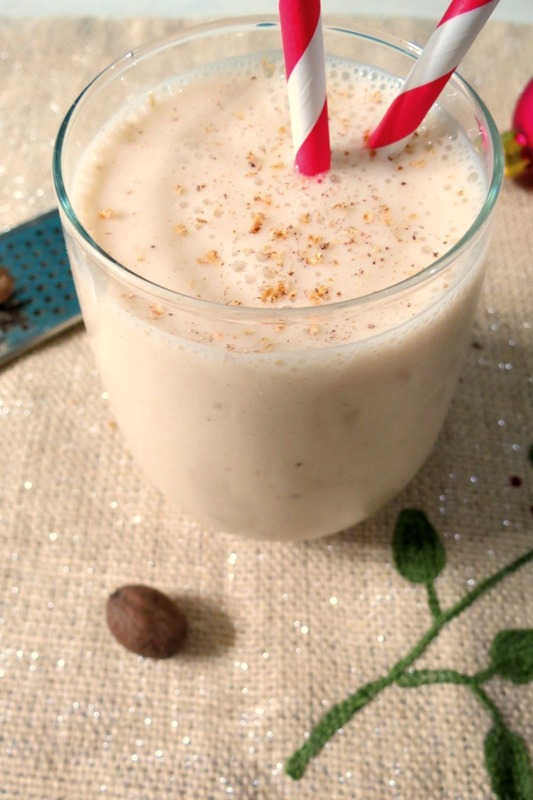 My Eggnog Smoothie has the most wonderful creamy flavor and topped with a dash of fresh nutmeg really took my smoothie to another level. I LOVE it!! It’s made with three simple ingredients. 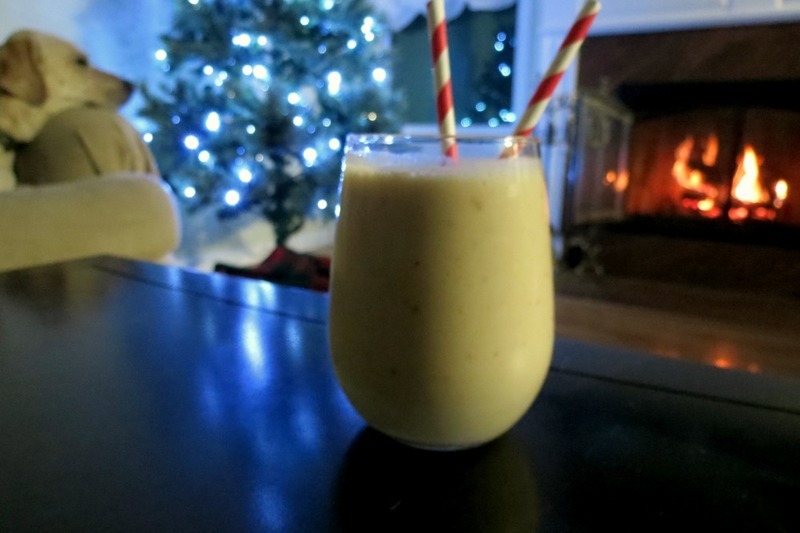 So Delicious Coconut Eggnog, a frozen banana and a dash of nutmeg. It can’t get anymore simpler then that! When I was looking at the nutritional label I was a little disappointed in the nutritional stats, until I looked at my Husbands eggnog. I am now pretty impressed with So Delicious. I also googled other brand eggnog stats just to compare and they were just about the same Southern Comforts, give or take a couple of calories. So I am happy with my Dairy Free Eggnog! Yah!! Now I actually like eggnog, I don’t feel so bad drinking it and I did give some to my Husband and he really liked it too. Oh and I didn’t taste the coconut in it!! A creamy, thick dairy-free frozen drink made with coconut eggnog and bananas. 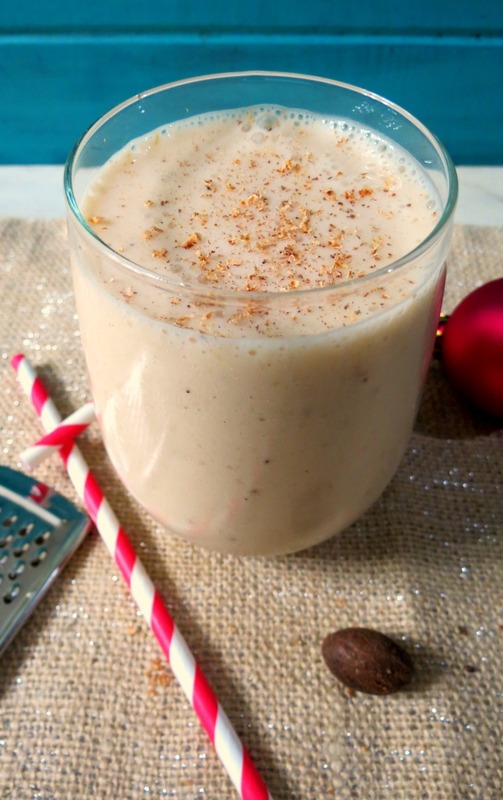 Place coconut eggnog and banana in a blender and process until smooth. Top with a dash of nutmeg. 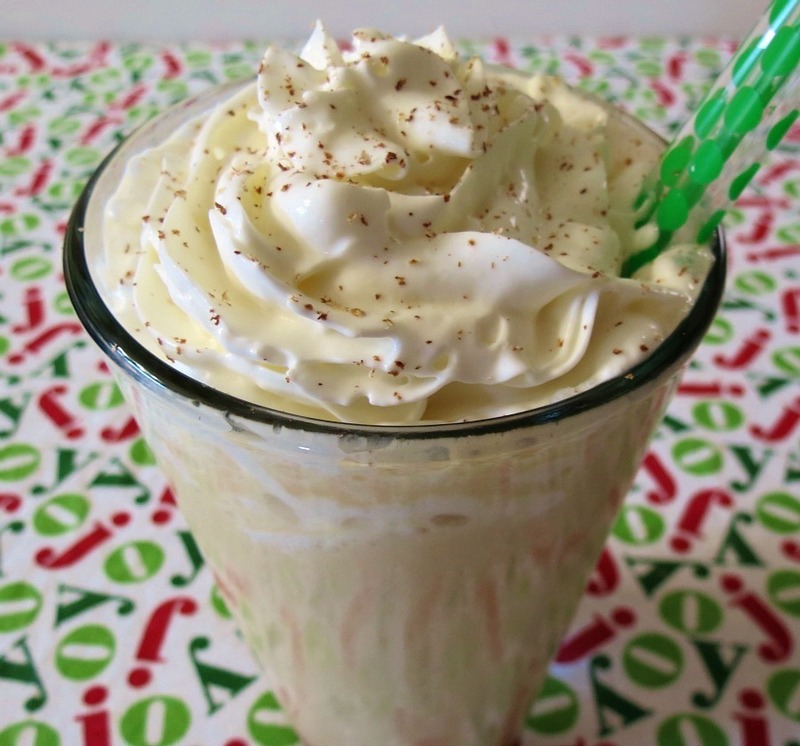 I thought I would share with you a few eggnog recipes that I have made. Wow, I didn’t make that much with eggnog. I probably should change that. 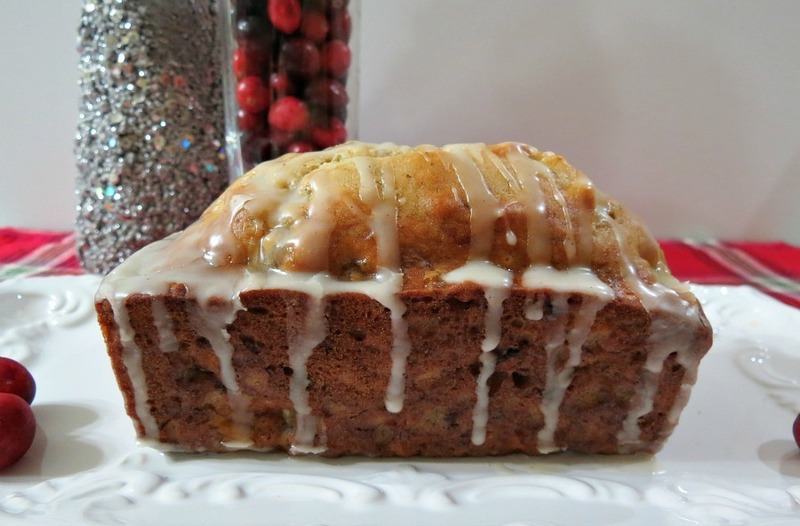 Now that I have some of my eggnog left, I have a few recipes stirring around in my head! 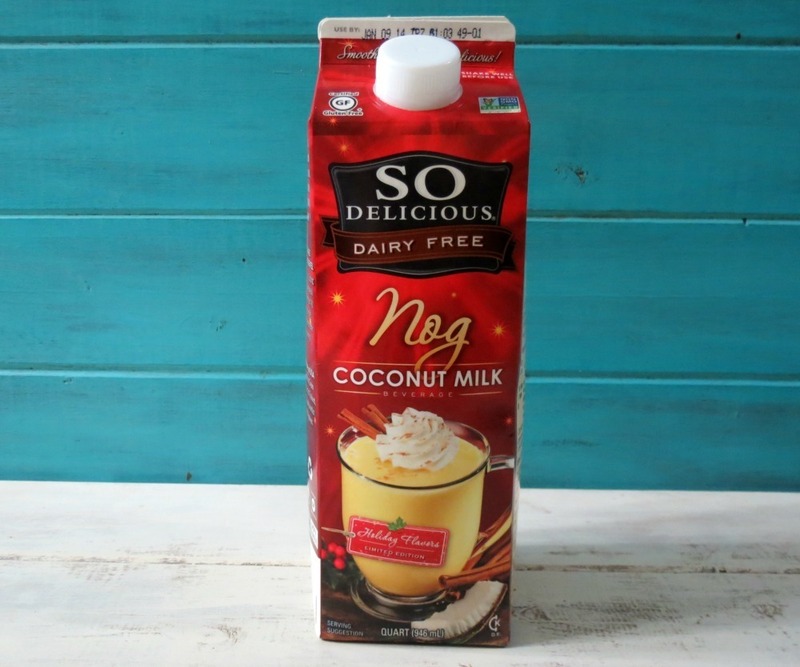 Love this healthier version of nog! 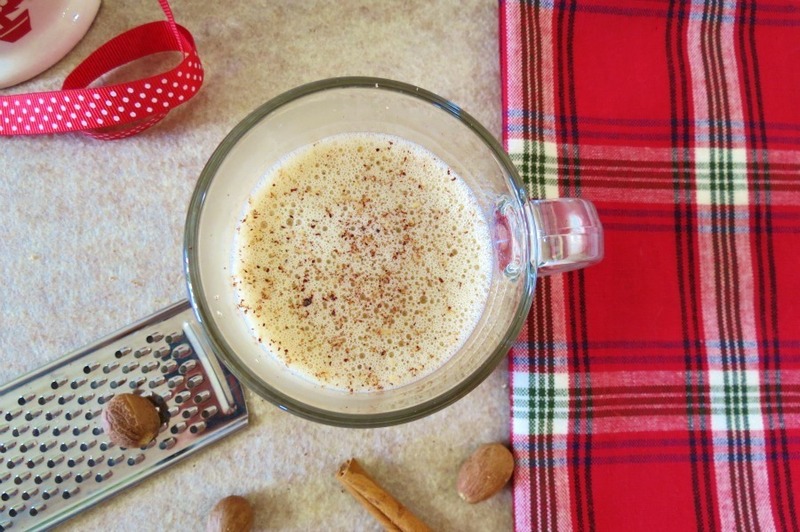 I can’t stand drinking my calories, so regular eggnog is not for me either! It’s crazy how many calories are in eggnog. I’m with you, I don’t like to drink my calories!! We are a cooking video website that puts together top-rated videos for each dish. Can we use your eggnog image for one of our posts? Please have a look: https://www.cookwithyoutube.com/eggnog/. 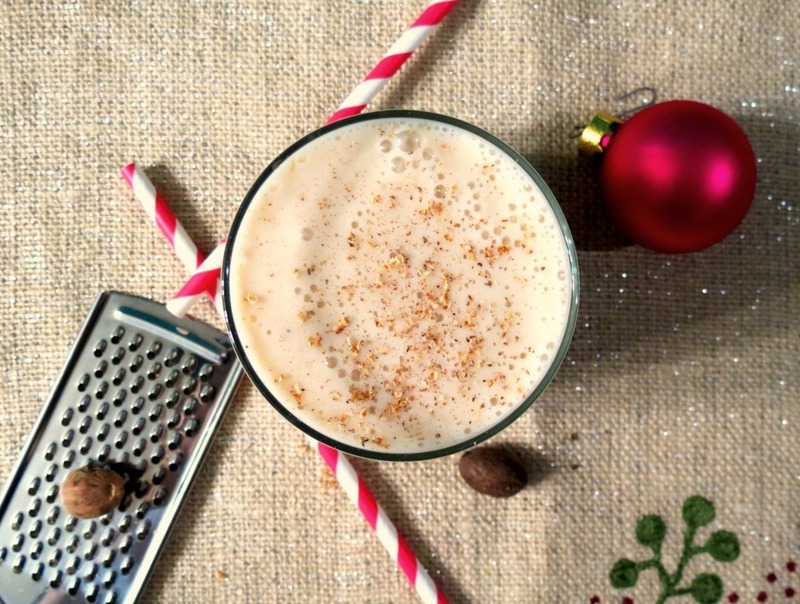 Also, we really like your dairy-free eggnog recipe. If you have no objections, we would love to mention your recipe and your website on our eggnog post (we like the dairy- free aspect).